This is a SUPER EASY craft project! 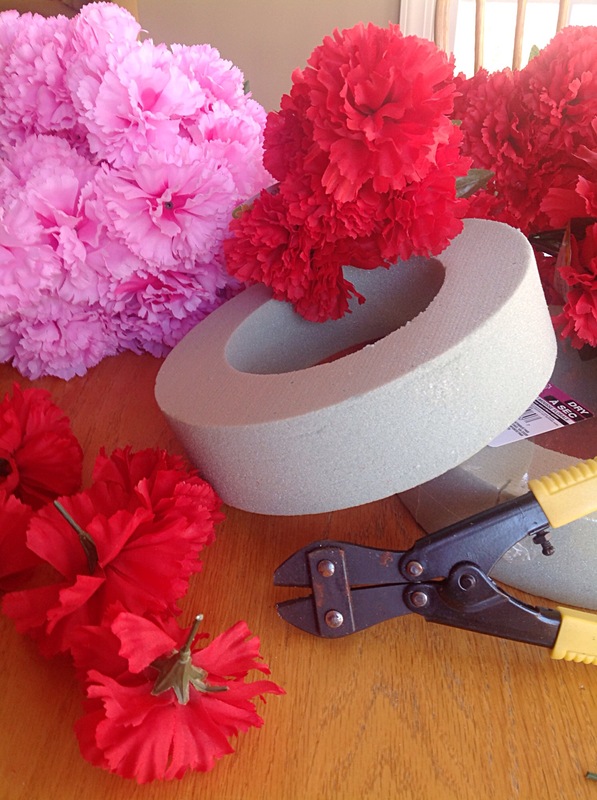 Hit up the Dollar Tree for your supplies: 8 red and 8 pink carnation bunches, 1 styrofoam wreathe form, spool of ribbon and wire cutters. 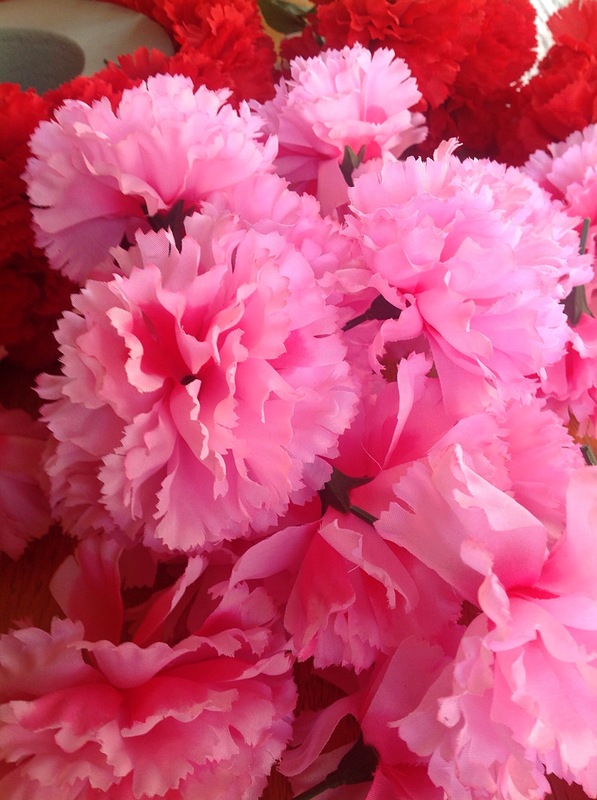 Cut all of the flowers an inch down on the stem. And begin putting them in. I like my flowers placed close together for a fuller look. 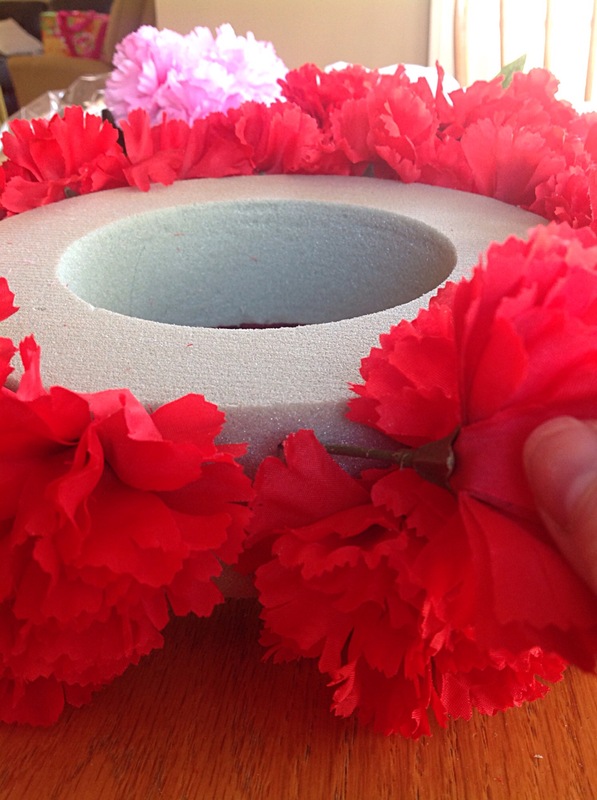 As you can see, I put the red on the outside and the inside of the wreathe. Don’t they look pretty just as they are? 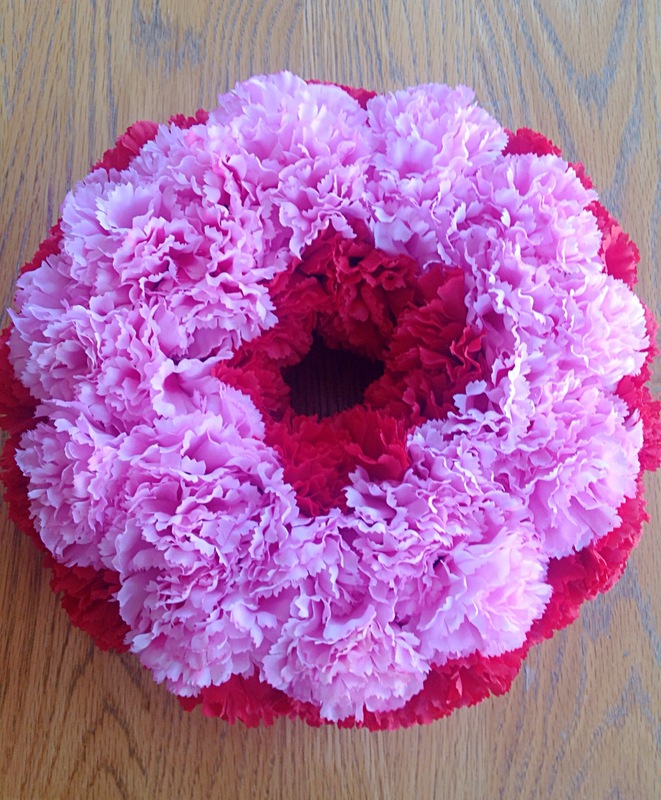 I put the pink carnations on the front and back of the wreathe. Now all it needs is some ribbon! Yea! Easy Peasy. No skills required. No hot glue gun burns. No special equipment. 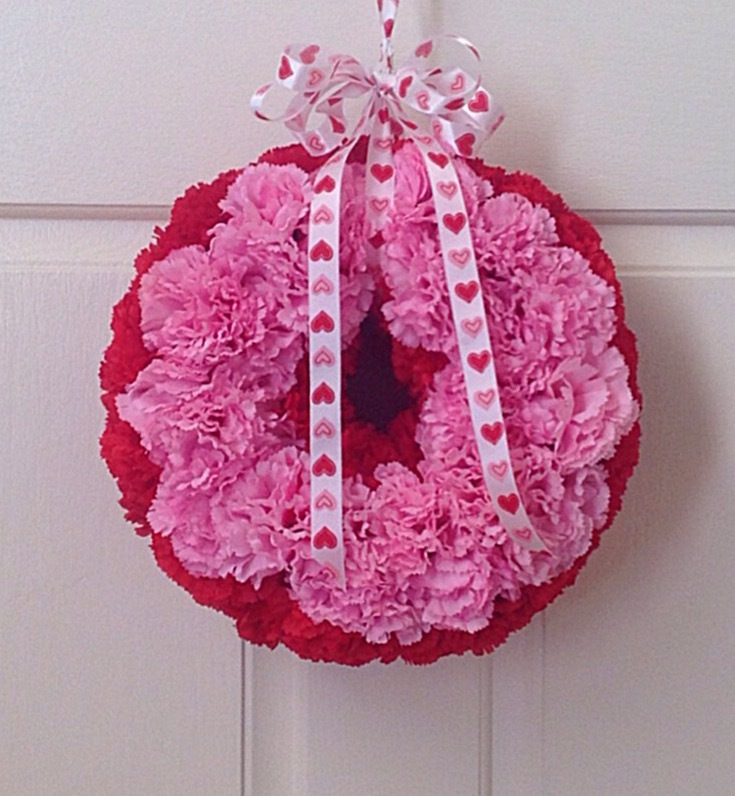 Posted on January 21, 2015 by mary •	This entry was posted in Crafts and tagged Dollar Tree craft, Valentine wreathe. Bookmark the permalink.